All Posts Tagged With: "Bath & Body"
On my recent trip to England I ran out of my body wash, face cleanser/scrub, and had to remove my nail polish. Of course I headed to my old time favorite English drugstore Boots. BTW Boots was the place where many of my beauty obsessions have begun! These are the Boots ‘treasures’ that I’ve found. L to R: Boots Therapy Sweet Nourishment Smooth polishing or exfoliating body cleanser. I love scrubbing body washes especially when they smell sweet. This one smells vanilla. Capuacu peel helps to smooth & refine and Brazil Nut extract hydrates. 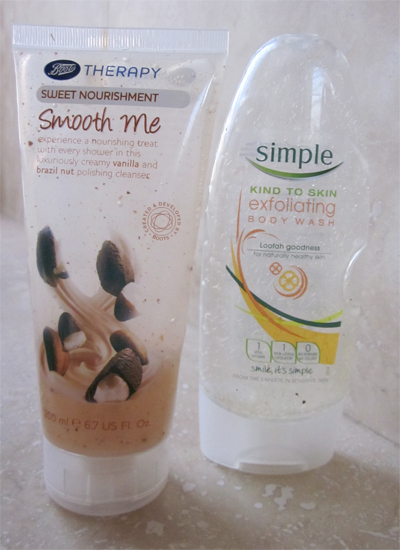 For a fragrance free option I love simple kind to skin exfoliating body wash Loofah goodness. What I got was a nice clean shower and smooth skin. 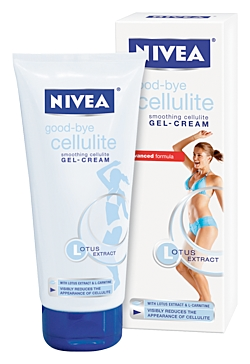 I love applying NIVEA body Good-bye Cellulite Gel-Cream to my tummy area, thighs (and buttocks). It feels so cooling and moisturizing. 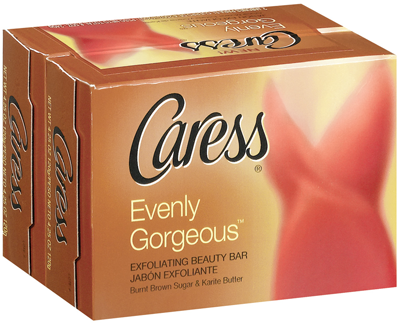 I use this even though I don’t have any cellulite (please don’ hate me) but because it feels good and I think of prevention. Same when in my mid 20s I began using anti aging creams and potions ‘just in case’. Does this sound familiar? The ‘secret ingredient’ in NIVEA body Good-bye Cellulite Gel-Cream is L-Carnitine which is found naturally in the skin and supports the conversion of fat into energy. NIVEA Research has now made L-Carnitine available in a gel-cream. Fascinating. You might also like the NIVEA Good-bye Cellulite Fast Acting Serum. Some time ago I threw away my shower puff to the garbage. I came up with this brilliant idea that it’s not sanitary for me anymore. All this washing and hanging it wet and re-washing didn’t quite add up. I must say though I was feeling a bit ‘naked’ without that scrubbing feeling you get from a shower puff. I contributed to an article by Kristina Mastrocola in Woman’s World Magazine titled: “You deserve the best…deodorant.” My favorite deodorant choice was Dove Ultimate Visibly Smooth. The print of issue of Woman’s World Magazine hits stands on Memorial Day. 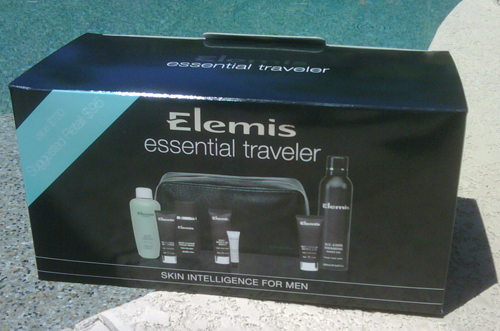 Before stepping out in style this summer, make sure that your skin is in prime condition to be shown off. 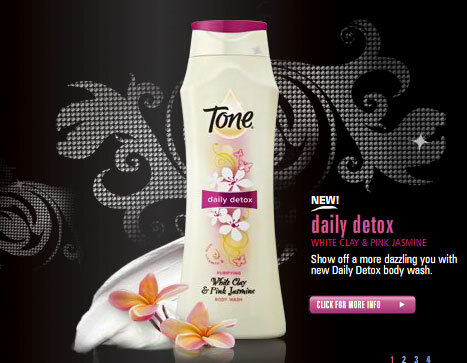 Tone’s latest body wash, Tone Daily Detox Purifying Body Wash with White Clay & Pink Jasmine, helps improve the condition of skin with a unique combination of white clay, jasmine extract and Vitamin E that exfoliates and moisturizes. Tone Daily Detox is made with fine white clay granules to exfoliate skin, making it soft and smooth like you just pampered yourself at the spa. It’s the perfect way to detox and reveal “get-noticed,” glowing skin! Tone Daily Detox is now available at grocery, drug and mass retailers nationwide for $3.99. 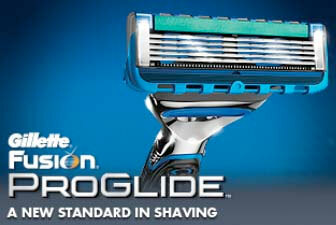 You can learn more about Tone here, where you can also download a coupon for $1 off.